Chia seeds have gotten a lot of buzz lately for their health benefits and ease of use. The tiny little seeds look a bit like exotic black and white swirled eggs from up close. They absorb lots of liquid and turn very gelatinous. They have a neutral flavor and while they cost a bit more than other seeds, it doesn’t take many to create an interesting effect. 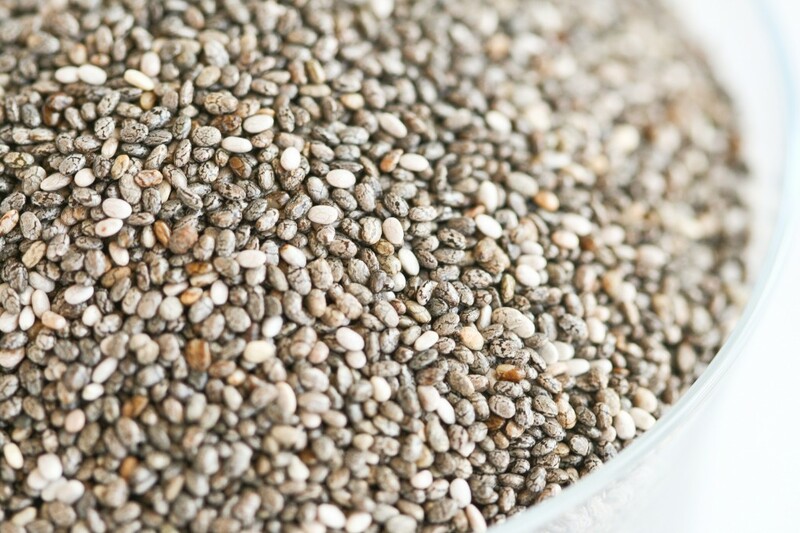 Chia seeds are high in omega-3 fatty acids and contain alpha-linoleic acid (ALA) and linoleic acid (LA). They also contain protein, fiber and some antioxidants. Chia seeds don’t need to be ground up like flaxseeds in order for the body to absorb their nutrients. I couldn’t find any information about the smoking point of chia oil, but I don’t think I’ll use them to cook or bake with since I’m not sure if the oils would break down and oxidize like flaxseed oil when subjected to heat. I played around with different measurements, and I prefer 1 1/2 cups of coconut milk to 1/3 cup chia seed. You can make this pudding with milk, cream, almond milk, honey instead of maple syrup, stevia, etc. There are lots of ways to play with these little gems! This pudding has a mousse-like consistency and only takes a few minutes to mix together. I prefer to eat it at room temperature because when it’s chilled, the texture becomes a bit too gelatinous. If you refrigerate the pudding, make sure to leave it out for about 15 minutes to take the chill off. It’s great with berries, a little whipped cream or chocolate shavings. Whisk coconut milk, maple syrup, cocoa powder and extracts until smooth. Stir in chia seeds. Divide mixture evenly between 4 glasses. Let sit at room temperature for 2 hours. Serve. last month, I saw at the supermarket chia seeds and I didn't know how to use them. Thanks for sharing this recipe, I would like to taste them, and this recipe is a good way for it. We make dark chocolate chia seed pudding in canning jars using almond milk. It is a family favorite. Hi, would you share your recipe as well? Thank you. Can you recommend a good place to find Native Forest coconut milk? I haven't been able to find it in any stores. I recently noticed that I can't find any either. I'm wondering if their stock is low...I usually order on Amazon, but all of the sudden their prices and availability have changed. Another great coconut milk is the Organic Thai Kitchens coconut milk. It has great flavor and is super thick. If you have a Costco near you they carry the organic Thai Kitchens brand in a 6 pack! Cheapest I have ever found. Do you have a Kroger near you - that is where I buy Native Forest coconut milk. I order my Native Forest coconut milk through my local co-op. It comes in 12-can cartons for about $34. You can also order it on Amazon for about $29. This milk is also carageenan-free. I have a bag of chia seeds just waiting to try this! I have used them to top oatmeal and mixed in smoothies, but this sounds like a nice change. Thanks so much for posting this! Made the chocolate one this weekend and it was SO GOOD! I tried it again with some almond milk - didn't turn out quite like pudding (though I didn't exactly measure, so I may not have had enough chia in there) but it was still superbly delicious chocolate chia milk. Chocolate cow milk is sometimes touted as a great after-workout drink (to get protein in) - since I'm lactose intolerant and don't generally plan ahead to de-lactose my cow milk, I think I'm going to try the chocolate chia milk instead - I'll probably do a combination of coconut and almond to get more good fats in. Thanks again for this, Carrie!! How do you de-lactose milk yourself??? I buy Zero Lacto milk in NZ but its double the price of normal milk! Hi Anita, just wondered if you are related to Dinesh D'souza? He's a great guy! And I love chia seeds in chocolate soy or almond milk. Yum! I will have to try this. 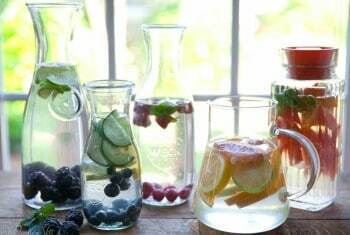 Love the berries on top! Both puddings look really good! Wow. Thanks Carrie for sharing this great recipe. I'm so excited about trying these! Do you think one could use the date paste you used in the 'sugar free creamers' as the sweetener and strain it before adding the chia seeds? So pretty + a fun twist on classic pudding recipes. 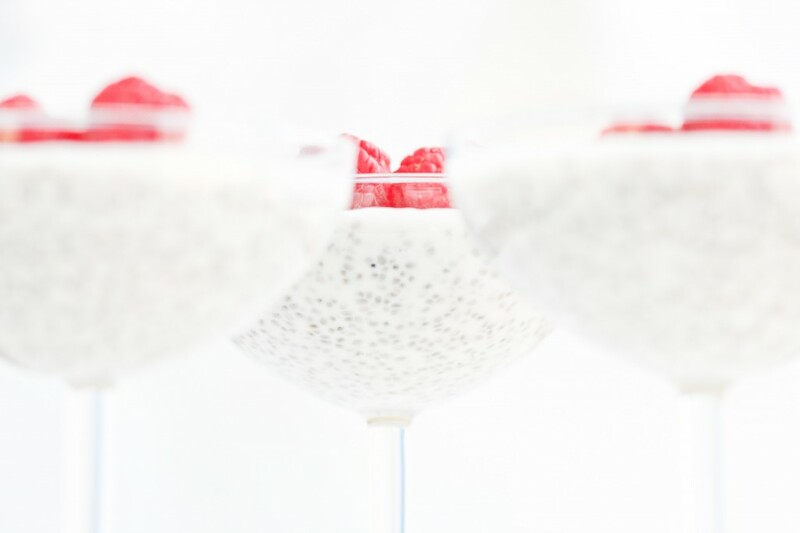 I have yet to jump on the chia bandwagon, but I really love you combining them into a healthy dessert. What a great way to add in some extra protein. These look great! I adore chia seeds and this pudding with coconut milk looks fantastic. Hope you are well these days Carrie! Made this today and loved it. It is so easy, quick, and tasty. This recipe is definitely a keeper. Thanks, Carrie. Wow, what a yummy pudding! I've never had chia seeds, but I read up on all the nutritional benefits and I will definitely make it a staple in my diet. Thanks for making it into a dessert. I just made this and I'm waiting for the seeds to soften. They're about 1/2 way there and it's hard to wait to eat this. It's sooo yummy! This is a keeper, I can tell! I've been loving chia seeds too and I've always got a bag at home. I love adding chia seeds to drinks, but have never had it in pudding. Thanks for the great idea. Oooh, I love this, Carrie. I am totally making this. Is it possible to make the pudding with soymilk as well? I haven't tested it with soy, but I'm thinking it might be too thin for this recipe. Can I make the pudding with ground Chia seeds? Will it turn out differently?Thanks. I've never tried it, but I would think it would turn out ok. I made the chocolate version and it was delish!, however i did find it to be a bit bitter so next time i think i will halve the cocoa. Before serving it up i mixed in a spoon of peanut butter and topped it with sliced banana and chopped dried apricots and YUMMMIO!!! 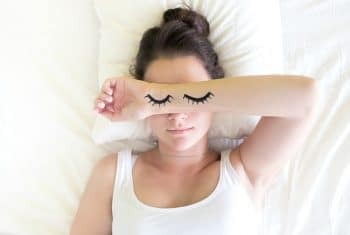 I used 2 Tbsp xylitol instead of honey or maple syrup to keep the calories and carb count down, and I just love it! With the vanilla version, the first time I made it, I could really taste the alcohol in the vanilla so the second time I made it, I heated the coconut milk, xylitol, and vanilla to a simmer to help heat off the alcohol before adding the chia. I also found it easier to just use a whole can of coconut milk, about 1 3/4 cups, and increase the chia seeds to 1/2 cup. I will have to try the chocolate version as well. I'm enjoying the chocolate version as I type this. Delicious! I look forward to trying the plain version soon! 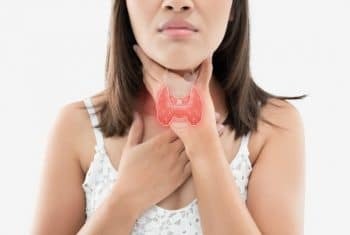 I have been on a candida diet/cleanse for the past couple weeks and have really enjoyed this as a special treat that doesn't break the diet rules and regulations! I have made the above versions and all of them have been delicious, but the other day I got creative and wanted to share a twist that also turned out well :)Instead of adding sweetener and extracts to the pudding, I mixed the coconut milk and chia seeds together and added lemon juice and spices (salt, pepper, garlic, dill, etc). It was almost like cream cheese or a cheese dip/spread ... at least, it was the closest thing to it on this diet!! It turned out tasty and I'm sure you could experiment with different spices and flavors.Anyway, thought I'd pass that on for anyone who might be interested! Now I'm going to make a sweet version to use as a topping on my fluffy coconut flour/buckwheat flour pancakes tonight! @Hannah - what a great idea! I've been grinding my chia seeds because my boyfriend isn't fond of the texture of the whole ones in our smoothies - I bet he'd eat the dip if I made it with ground chia, too! Thanks so much for sharing! I wonder if you use Indian or Thai spices for the dip if they would meld better with the coconut flavor...I'm excited to try! I was also thinking about trying a combo of coconut and almond milk to cut down on the fat content (and maybe mellow the coconut flavor). @Hannah, how much lemon juice did you add? Also what quantity on the spices? Sounds like something I'd really like to try! 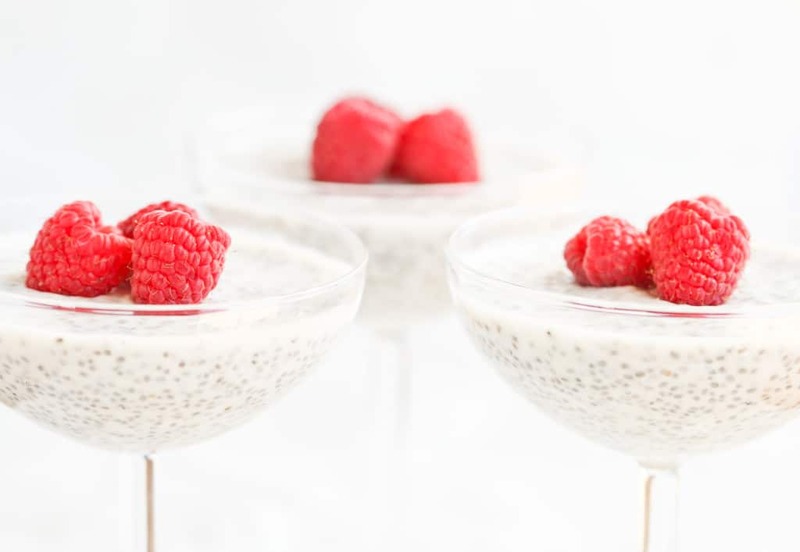 I was actually thinking of using some raw almobds soaked in water and then chopped coarse and adding ground cardamom for an exotic twist on the chia pudding! Will let you know how it turns out! I read recently that guar gum is something to stay away from. I noticed that Native Forest uses organic guar gum in their coconut milk. Carrie, can you please share how you feel about this? 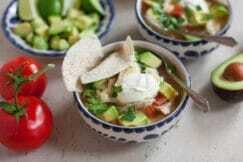 I love your site and have made many of your recipes! Thanks for leading us to a healthier life! I just looked up guar gum. My medically based source said it was safe for most people in moderate amounts, but could have some drug interactions. Your best bet would be to check for those interactions with a pharmacist or to look up any medications you take online. I nearly forgot, thanks for the great recipe. I'll try it tomorrow. Delicious!! I have been searching for an easy, healthy, chocolatey dessert that appeals to everyone in my family and this definitely hit all the points! I used vanilla almond milk instead of coconut milk (though I am dying to try that as well) so I didn't need as much syrup for the sweetness and created a layered dessert with sliced strawberries and bananas. It took longer to layer it than it did for my children to eat it- they loved it that much! Thanks for the great recipe! What brand cocoa powder do you use? 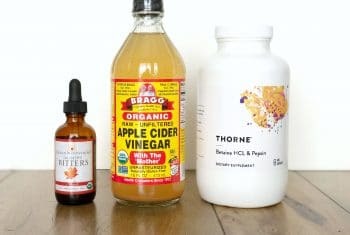 Would the raw cacao work here? Can't wait to tr it. I'm assuming that the berries listed in each of the ingredient sections are for sprinkling on top of the pudding just before serving and are not to be incorporated into the pudding itself? Yes, the are for sprinkling on top. This pudding is absolutely amazing! I made the raw cacao version (with 1/2 the cacao per one of the comments above), and it was super scrumptious! ;) I add chia seeds to everything, but this just became a new favorite. Thank you so much! I'm thinking of making this with almond milk and using cardamom spices as a sweetener...but should I still add the honey? Maybe omit the vanilla? Or the other way around? Almond milk is very thin so the pudding might not get as thick as originally intended. If you're using almond milk that is just made from almonds and water then I would still add the honey and vanilla. I made this. Left it out for two hours and it was still a liquid, soupy mixture. Why didn't it form a pudding texture? Hmmm...I'm not really sure. Did you make any substitutions? Not really. I used unsweetned almond milk. I put it in the fridge and it got a little more solid. It's pretty good. I guess I might be thinking it will form a shape of regular pudding. Still good. I've never tested this recipe with almond milk. My first thought is that the consistency of the almond milk would be too thin to produce a thick pudding. If you use thick coconut milk (not coconut beverage) it will turn into a thick pudding. Thanks, I will give it a try again. I haven't tested it with almond milk, but I'm assuming it depends on what kind of almond milk is used. Almond milk in the stores usually has preservatives and additives that would probably interfere with how the pudding sets. A homemade almond milk would probably do best since it's a bit more thick and doesn't contain any additives. I used Califia vanilla almond milk to make mine and it turned out great!! The Califia almond milk is very thin. I put mine in a mason jar in the fridge overnight and it came out thick like tapioca pudding. I'm glad you enjoyed it! And thanks for letting me know that the almond milk worked well in this recipe! Could you use agave as the sweetener to keep the glycemic load low? 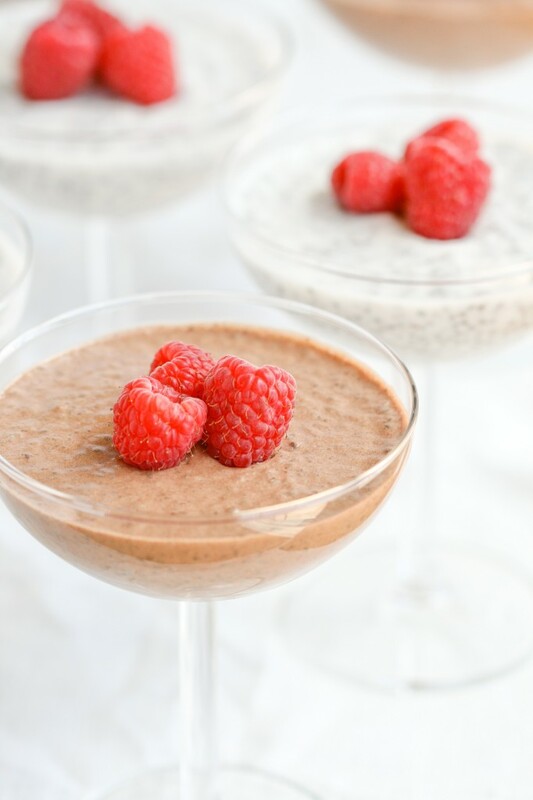 I just made a vanilla chia pudding that was similar to this one. It called for honey as a sweetener. Being vegan, I improvised & used a combination of agave nectar & stevia powder; I wanted to use my last organic mango of the season, (proudly grown from my backyard) in a special way so I experimented & added in the finely chopped mango; Delicious! Do you think this would work with 2% milk? I would try 1/2 milk and 1/2 cream in place of the coconut milk. I make this with whole milk all the time and it turns out great! I don't usually measure though, I just wing it and add some more chia seeds if the consistency is too thin. My new favourite flavour combo is the chocolate pudding topped with cherries - so good! I bought some chia seeds at trader joe's. I just realized they aren't the same color as those in your picture. Seeds I bought are black. Is there a difference? I don't think there is a difference. I bought chia seeds from TJ's and they worked just the same as the others I bought before. I hope that helps! Made this with my newly coconut free, dairy free daughter. We used half goats milk, have goats kefir= awesome! She loved it and felt like such a treat for her, topped with fresh berries. She said the vanilla tasted like whip cream to her, so now I have a great alternative for her when we use whip cream during winter or holidays! (I'll probly just grind the seeds for "whip cream", and feel free to use the idea) But the chocolate was her fave. Thanks for the great recipe! I made it and didn't turn out. All the seeds gelled at the bottom and it was real milky at the top. What could have gone wrong. I was so disappointed. Hmmm...I'm not sure. What brand of coconut milk and chia seeds did you use? I have used chia seeds in multiple puddings (or fruit smoothies) and I'm guessing it solidified at the bottom because it wasn't stirred enough. Whenever I use chia (no matter what type of milk), I stir it every few minutes to make sure the seeds are thickening evenly throughout the liquid.Sometimes that means stirring it every few minutes for 10-20 minutes before I feel like it's ready. Once it's at the consistency I like, it is safe to set aside. I just made the chocolate and it is so delicious and decadent !!! Thank you for the recipe. Your recipes have always served me well, Carrie, and this is no exception. This is my fourth time making this in ten days. I send it with the kids for lunch, I bring it to work and top it with berries for breakfast. I actually cut down the maple syrup and little and it is still lovely. Thank you so much! are the seeds whole or ground? thank you! Carrie: I think this will work well on my low carb meal plan. I am pinning for later. I will be making this one soon. I have been looking at chia seed receipts as a way to lose a little weight so was very excited to see this. I made the pudding with almond milk and then I saw the Nutella - what isn't delicious with Nutella? So, I added 2 TBSP and it still wasn't sweet enough so I added a dash (well, maybe several) of maple syrup. Delicious!!! I think I've got this diet thing down. Just made this! Lets see what the verdict is! Made some today for the first time, I used Unsweetened Almond Coconut milk 1 cup and 1 cup dannon greek coconut yogurt (the 80 calorie one), tea vanilla and 1/4 cup black chia seeds. I was very surprised how good it is! Next time I want to try to make chocolate. I'm so glad you found me! :) I prefer to use canned coconut milk as it contains less preservatives and additives. 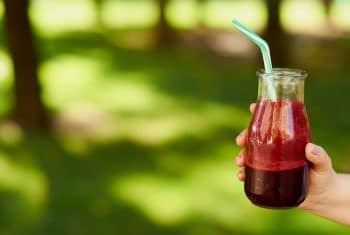 If you use a coconut beverage, then the consistency will be very different. I purchase coconut milk via the subscribe and save program om Amazon. Great prices! I tried the chocolate version and loved it! I couldn't finish it all myself though. Will this keep in the fridge for a few days? Thanks in advance. I used raw milk in place of coconut milk, otherwise followed the recipe, and mine did not thicken very much at all. I chilled it overnight and took it out this morning and it seems the chia seeds did not expand very much at all. Any suggestions? Deliciously Organic #ChiaSeed Pudding recipe @CarrieVitt http://t.co/Qrj5KTyi eating protein, antioxidantes & omega3 has never been so easy! @Bethenny if you mix them with coconut milk it makes a nice rice pudding substitute :) recipes here: http://t.co/J5n1EoHE so good!